I have neglected this blog for some time now in favour of my personal blog, multicolouredsmartypants and my cookery blog, Easy Cooking on a Budget. Given the predictions about the British economy, post-Brexit, I decided it would be a good idea to create a blog focusing on home made things, homemaking and frugality. ‘Frugal Freda’ sounded like a good name, but it turns out there’s already a blog called Frugal Frieda, so that won’t work. Then I remembered the lost and lonely Unpaving Paradise Project and realised that I already have a wonderful place to address issues that relate to frugality, homemaking and the environment. Being a housewife myself and living with a chronic health condition, I want to blog about how I am going about the task of moving from disorganised chaos to organised, not-quite-so-chaotic, enjoyable family home, especially as we live in a marvellous old house which requires an approach different to that taken for the typical 3 or 4 bed semi that pervade the UK. So, welcome to the new and improved Unpaving Paradise Project. I will try to blog about once a week. To get the ball rolling, I am making lots of Christmas presents this year. I have already made eight flannels/washcloths, and am currently crocheting a Harry Potter scarf for my youngest child. I had to buy the yarn for the scarf, and I have ordered a Gryffindor sew-on badge, but the flannels were all made with yarn that I already owned. In my ongoing attempt at decluttering I sorted out all of my craft stuff. Turns out I could probably open my own shop, so I decided to make the most of what is already here, rather than buying more. I am also going to make some scented soaps to go with the flannels and I have some homemade vanilla extract steeping in the back of my wardrobe. How about you? Any ideas for a frugal or environmentally-friendly Christmas? I’d love to hear from you! When we were children my sister and I always had birthday parties: swimming parties, traditional ‘home’ parties, trampoline parties, McDonald’s parties, Pizza Hut parties… You name it, we did it. My friends had parties, too, most of them. It was something we took for granted, but many children nowadays don’t have them. Perhaps this is because the pressure has become too much and expectations run too high. Perhaps some parents can’t afford even a party at home, with school friends as guests, or think that they can’t because the guests will have high expectations. Who knows? Regardless, my children have usually enjoyed birthday parties, although there have been occasions where they chose a different ‘treat’ such as a visit to a theme park. This year all three children have asked for birthday parties at home, now that we have our lovely rambling old house. We have had one child’s birthday so far this year and are planning for the next two. We made the invitations ourselves, which is a lovely way to spend a rainy Sunday afternoon if you or your offspring are creative. Because my son has autism, and his school friends have special needs, for his party we printed off a simple but clear list of what would happen, so that parents would know ahead of time, and so that anyone with autism had time to prepare. We decided to host movie parties, and to reuse any movie-themed paraphernalia. This is a fairly inexpensive way of hosting a party in your own home for older children. As a family who are trying to declutter, as well as be more eco-aware, movies that exist solely in cyberspace seem like a marvellous idea. For each movie party we intend to watch a movie from blinkbox. For the first party my son invited a few school friends and spent an evening eating takeaway food and popcorn while watching Despicable Me 2. I bought a couple of plastic table covers with a balloons pattern, as well as some plastic plates and cups, all of which were washed afterwards for reuse at future parties. I’m not sure whether this was the most environmentally friendly option, but as paper plates aren’t washable or reusable, plastic plates seemed sensible, and I did not want my crockery getting broken by boisterous children. I also bought a funky door banner which says ‘PARTY!’ which was carefully folded after use and placed in the Birthday Box, ready for next time. For the next party, my sister will be joining us and she is planning on baking the cake (she is a very good cook). The party will have a joint movie and gymnastics theme. We’re planning a gymnastics film and have several options lined up, all from blinkbox. We use blinkbox because it allows films to be downloaded, so you don’t get those annoying pauses; the computer we use is rather elderly so not up to streaming films. To continue the movie theme we have some ‘Hollywood’ cupcake/bun toppers, which can be reused if washed carefully and, as an alternative to plastic party bags, I found paper popcorn bags. These will be filled with sweets and a few odds and ends that I save for such occasions, e.g. some leather friendship bands from Traidcraft. I may crochet a few butterfly hairpins or the like as well. We’ll see. We won’t be buying takeaway for the next party. As my sister will be with us (hurrah!) we will have a go at a traditional party tea. This part won’t be as eco-friendly, to be fair, because I do intend to buy some wrapped foods such as crisps and cake… But we’ll do what we can, which is my motto when it comes to environmental issues – doing something is better than doing nothing and doing what you can is better than beating yourself up for not being Eco Warrior Super Mum. Yeah. She’s annoying, frankly. 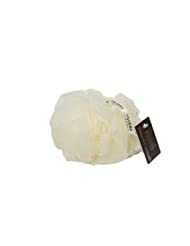 Onto the next subject of this post: eco-friendly gifts. I try to get a few small gifts for each child. Planning is everything. I will spend months beforehand not avidly searching but keeping an eye out for anything suitable at which point it is stored in my wardrobe. For the upcoming birthday I bought a couple of second-hand pretty dresses, a summer jacket and a gymnastics leotard. Second-hand clothing has many benefits. These clothes are far cheaper than new clothes, and have often only been worn a few times before they are outgrown. When a new item of clothing is produced, it produces a chunky carbon footprint in its manufacture and distribution especially if, for example, it has travelled half way round the world to end up in our local shop. So second-hand clothes make a lovely gift if chosen with care. I was also lucky enough to find a gymnastics beam for sale at a very good price. It is an ‘ex-display’ beam, manufactured in the UK. Although not as good as a second-hand beam in terms of its environmental impact, it does not have the carbon footprint of certain goods (although I think most of the beams on the market are British made, which means that transport emissions will be less). What do you think? I hope she likes it! I have also made two gifts which I know my little girl will treasure simply because Mummy made them. I cross-stitched a picture of a spring lamb and found a frame for it (new, unfortunately, although I did try to find a suitable frame second hand), and I used some of my embarrassingly large stash of yarn to crochet a gorgeous little bag with a flower decoration. I used this free pattern from Daisy Cottage Designs for the bag, making the handle longer, and this free pattern from Attic24 for the flower. Both very easy patterns but with charming results. 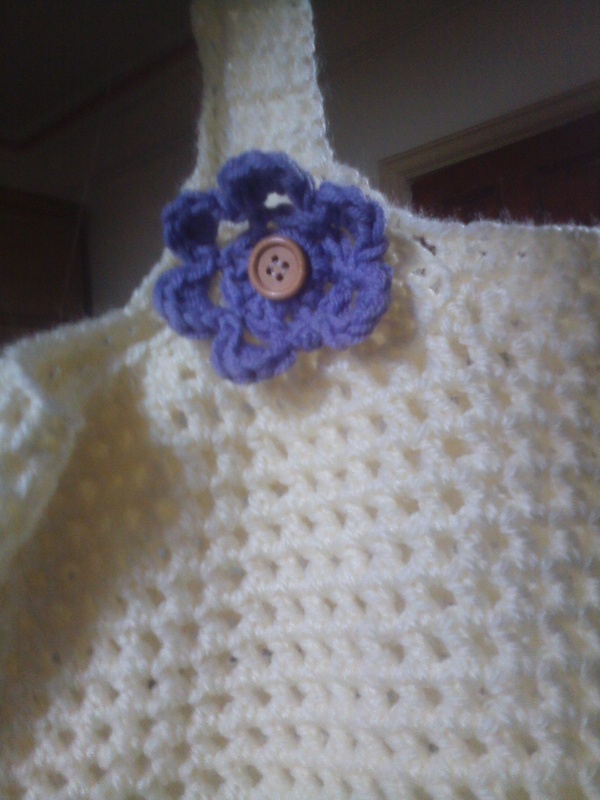 I then sewed a button from my sewing basket in the middle of the flower to finish it off. I have neglected this blog lately, although I have a lot of ideas in the pipeline. My health has been up and down, which of course affects blogging as well as my ability to be as actively eco-friendly as I’d like. I don’t beat myself up over it – what’s the point? If you’re not well, you’re not well, but you do your best and that’s good enough (why is that such a hard lesson to learn?). I have, however, begun gardening for the first time in my life (seriously – I didn’t know a weed from a rake), and gobbling up gardening books. I was dead chuffed when I planted my first potatoes earlier this week. 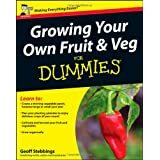 I highly recommend Geoff Stebbings’ Growing Your Own Fruit & Veg for Dummies, along with a book about tackling and identifying weeds, which are a big problem in our neglected Victorian garden, though even in its neglected state it is gorgeous. The cat which used to poop all over the garden seems to have gone, which is a relief. I am not a cat lover and I think anyone who is serious about the environment should give consideration to the fact that domestic cats are responsible for the deaths of millions of birds and thus have a huge effect on ecosystems. I follow FlyLady and am making good use of her decluttering system. The first thing you need before you can declutter is a home for an item. This is rule no. 1. The home can be a shelf, a box, a wardrobe, a box of items for charity, a box of items for recycling or, as a last resort, a bin bag for things that have no use for anyone and cannot be recycled. Of course, decluttering only works if you then take the donations, etc., out of the house. I spent a long time thinking that putting things in charity bags or in boxes ‘for recycling’ was good enough. They still didn’t grow legs and walk out of the house! Decluttering is, in essence, deciding where something belongs. If you declutter for 15 minutes a day, as FlyLady suggests, you will soon see significant results. While decluttering, I realised I have many items that are useful and reusable, but only at certain times of year, e.g. children’s birthday party items. It suddenly dawned on me that it would be useful to have all ‘birthday’ things in one place. I didn’t want to go out and buy more boxes, and was inspired by Alejandra’s tips on creating storage boxes from things you already have. I do try to get the whole family in on the eco-friendly/FlyLady act. It’s no good if Mum is busily tidying and everyone else thinks there’s an invisible cleaning fairy who picks up after them and cleans all their messes. Hey, kids! There is no invisible magical anyone. You need to learn to pick up after yourself. I began by taking a used but sturdy cardboard box and sticking strips of colourful tape to one of the sides. It was then time for the school run and my excitable, creative 9-year-old, when she came home, wanted to help. I reassured her that it doesn’t have to be perfect to be useful and ta daaaa! I plan to do a Christmas box as well, using washi tape with a reindeer design. She finished off our very own super-duper upcycled ‘Birthday Box’ which now contains plastic birthday tablecloths, a ‘happy birthday’ door banner, some plastic cups and some cardboard plates and bowls. I admit these are not the most eco friendly items, but at least we will reuse them rather than disposing of them.What else could go in, I wonder? NB. If you’re thinking of having a go yourself, I’d recommend gaffer tape or duct tape. 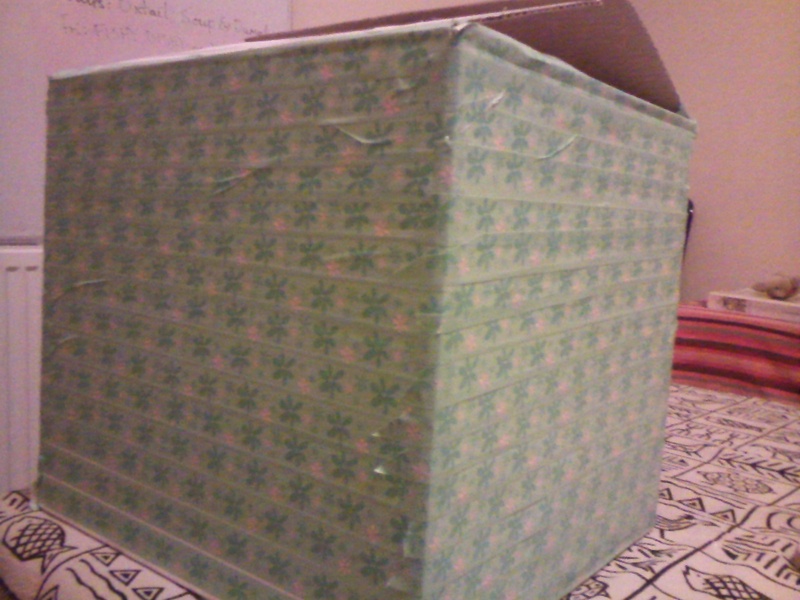 I used washi tape and it’s really not very strong, although I won’t store anything heavy in this box. Gaffer tape would strengthen the box. It being half-term here in this Lost Corner of Middleshire, we took the children to the National Space Centre. It’s a fantastic place. The planetarium alone is an amazing experience. A particular favourite was the ‘rocket’ in the cafe, which every so often would begin to rumble and emit vast quantities of dry ice lit by red lights, to much shrieking delight on behalf of the children stood underneath. Also, if you book online in advance, you get a free annual pass. Read more here. We travelled by train and stayed overnight as it’s a long way away, which led to some interesting questions with regard to the eco credentials of train travel: why is it more environmentally-friendly to use the train, but costs more? Shouldn’t the fact that there are 100 people travelling in just one carriage be more economical for the traveller? Why, even when you have discounts such as the Friends and Family Railcard and you book weeks in advance, is rail travel in Britain so expensive? Mohammad, an Edinburgh grandfather on death row for blasphemy in Pakistan, is in a critical condition. He was shot by a prison guard and remains at risk of further violence. Mohammad has a documented history of mental illness and has been charged with blasphemy after becoming delusional. It is a tragic case. Tomorrow, Jasmine, Mohammad’s daughter is taking a petition to Downing Street (please see the link below). According to 38 Degrees (a non-party-aligned political action group), a Downing Street spokeswoman said yesterday that “the PM has been following the case closely.” More than 70,000 people have signed the petition to save Mohammad. Please would you consider signing it too? Just in time for Christmas! I have resolved to make as many gifts as possible this year and coasters may well be one of those gifts that I will duplicate for various different people. I’m already half-way through a shawl for my mother. 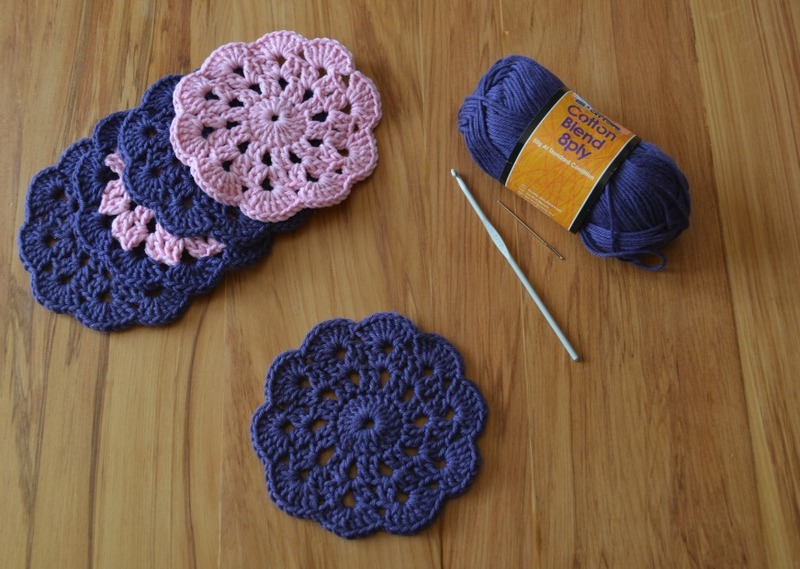 These coasters look great and the pattern is simple. Win, win, win! 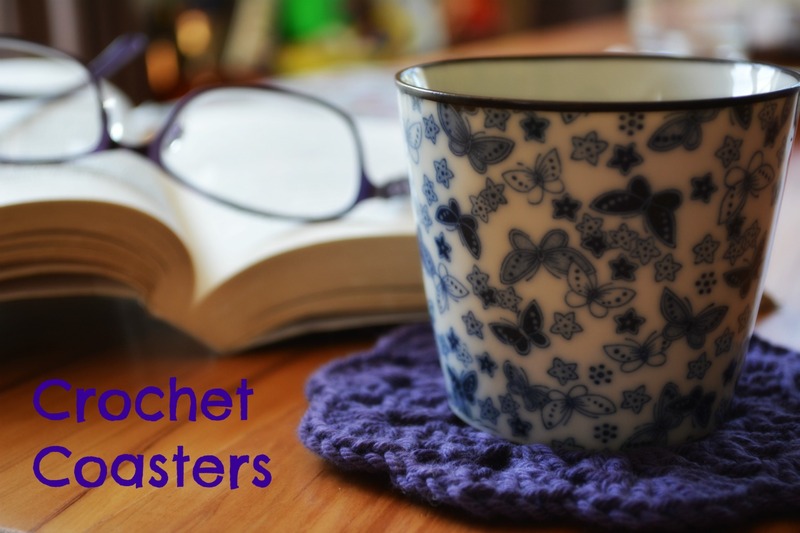 I’ve had many, many requests for a crochet coaster pattern since I originally posted making coasters because the original pattern seems to have disappeared. 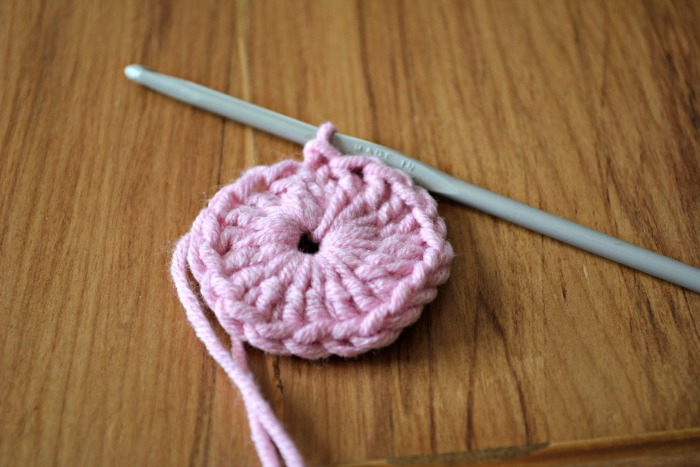 If it does pop back up Ill link back to it, but in the meantime, here’s a quick little tutorial for you to whip up some crochet coasters, for yourself or as a lovely gift! 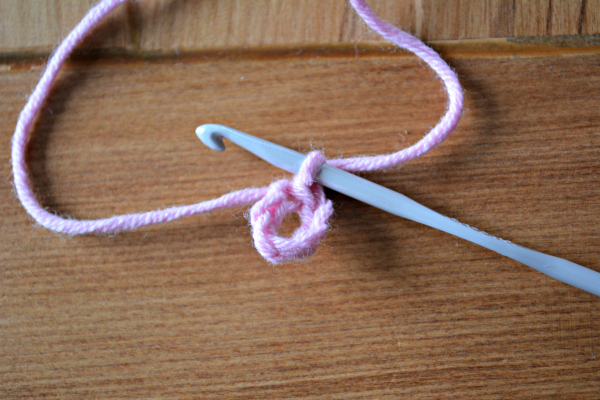 3mm or 3.5mm crochet hook – use a slightly smaller hook than usual because you want a nice firm fabric. Chain 3 (counts as first DC) and DC 19 into the ring (20DC) Join with a SS into the top of the starting chain 3 to complete the round.